Huawei’s been making major moves in laptops (the MateBook X Pro is a favorite of ours), but the company’s tablets have gone under the radar. 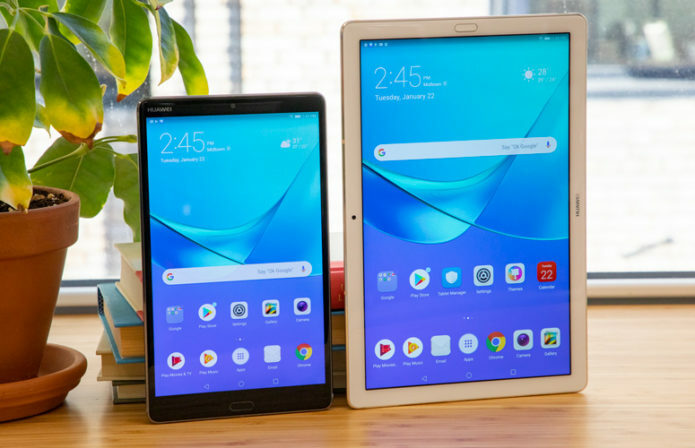 Take, for example, the MediaPad M5 and M5 Pro, Huawei’s 8.4- and 10.8-inch media tablets, which offer solid displays and decent performance (for consumer-level tablets). The M5 Pro packs a decent pen and long battery life, but the smaller M5’s battery doesn’t last as long and its sound can’t match its big brother’s. So, while the MediaPad M5 Pro is worth checking out — even with its premium price — the same can’t be said for M5.